As a Southern California native living in New York City, there are few things I miss more about San Diego than its Mexican food — the abundance and the distinct Baja California influence. Even more specifically: I miss the tacos. Why tacos? For starters, the variety — there are so many ways you can prepare tacos, compared to, say, a burrito. And there’s more ability to mix and match flavors — why put yourself in the position of deciding between carne asada and al pastor when you could have a taste of each? There’s also the idea of scalability, which is a fancy way of saying that with tacos, you can order based on how hungry you are. Not so hungry, or only looking for a snack? A single taco will do. Hungry to the point of feeling famished? Then, by all means, go for a 3-taco combo meal. Speaking of trios, let’s take a tour of a few of my favorite Mexican haunts in San Diego. (although this is by no means a definitive list). 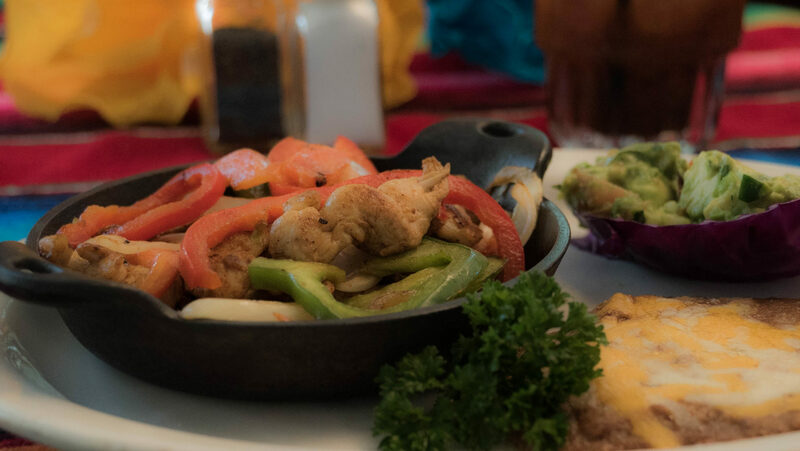 Whether you try one of the restaurants below or venture out on your own, you really can’t go wrong with having a Mexican meal (or three) while in town, as long as you stick with auténtico. There is something profoundly magical about warm, freshly-made tortillas arriving at your table tucked into a tortilla warmer, crisped and browned yet pliant. The heat of the griddle is still evident to the touch as you cup the tortilla in your hand and build your perfect taco. You revel in the scent of warm corn as you add tender pieces of carnitas, Mexican-style rotisserie chicken or sizzling fajita fillings and toppings, before taking that first bite of bliss. Even after years living in New York City, I still have visions of just such blissful moments. That’s when I find myself wishing I could teleport to Old Town Mexican Cafe in San Diego’s quaint Old Town historic district. I’ve always had a soft spot for this restaurant, which hasn’t changed much over the course of its 40-year history. I remember as a child watching the chefs prep tortillas by hand inside the kitchen with big picture windows. They’re still there today, working away. Some things, you can only hope, will always stay the same. While it’s hard to go wrong here, the house specialties are designated as such for a reason. My favorite entree is the Old Town Famous Carnitas, which can be ordered regular or crispy, served with your choice of housemade corn or flour tortillas. One of my first stops in San Diego, after collecting my vehicle at the rental car terminal, is always Mexican Fiesta. This hole-in-the-wall gem on India Street serves up seriously delicious Mexican grub without any frills or fanfare. Housed in a free-standing building about the size of a postage stamp, you might first spot the line queuing up to order from the brick storefront before you realize you’ve arrived. Don’t be deterred: The line moves quickly and you’ll hardly notice the few minutes spent waiting for your food when you’re basking in San Diego’s famous sunshine. I almost always order the rolled tacos, aka homemade taquitos (these are infinitely better than any frozen counterpart), topped with all the fixings (guac, lettuce, tomato and shredded cheese). And I can’t ever say no to a side of hot carrots: lightly pickled carrot, onion and jalapeno slices you can only find at an authentic Mexican taco joint. Mexican Fiesta offers window-service only, with no seating for patrons. That’s why it’s the perfect stop when you’re on the go and craving fast and delicious Mexican eats. Perhaps it’s a SoCal native thing, but I am a sucker for avocado anything. It’s the perfect breakfast when you put it on on toast, it’s an instant upgrade on a sandwich, and it’s irresistible when mashed up in a bowl of guac. 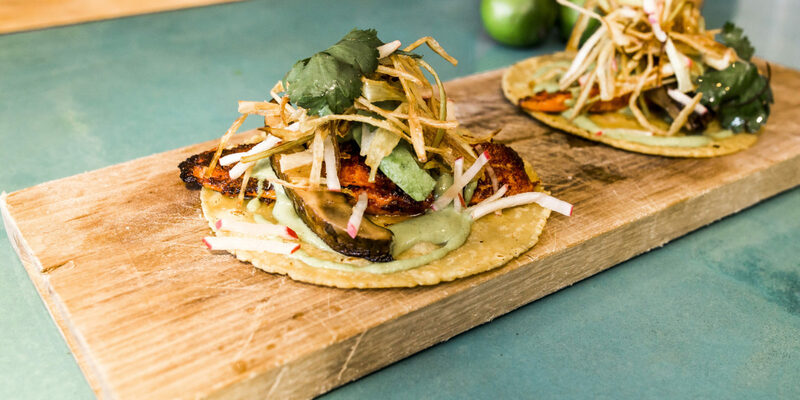 So as soon as I saw that Tacos Libertad had both a grilled avocado taco and a tempura avocado taco on the menu, it became a must-visit destination for me. After making it through both avocado-based offerings (which were creamy and delicious, as expected), I tried a few other highlights from the wood fire grill. 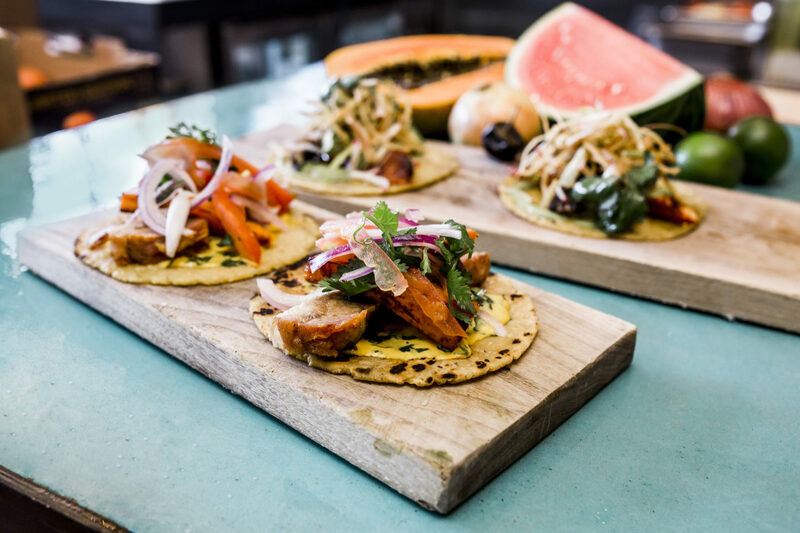 The octopus taco (with avocado, naturally) balanced the perfect amount of citrus with bitter cilantro, and the Caja China pork belly taco with sweet potato was about as close to a perfect meal as you can get — I still dream about that buttery pork belly! While I think that tacos in and of themselves are a good cause, the tacos at Libertad actually benefit charity. Every bite was nonprofit, as the gourmet taqueria donates 100 percent of its profits to a different charity each month — a fact that made these stand out tacos taste even better. If you have any late night cravings, Libertad has a midnight menu Wednesday through Sunday. Midnight menu specials change daily. Erin L. is a writer living in Brooklyn, New York.